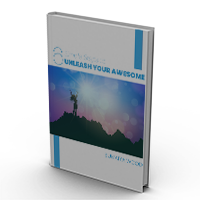 Spiritual Life Coach Sumaiya Wood | Unleash Your Awesome! Are you hiding, suppressing, or ignoring your awesome? Your "awesome" is what I call the unique gifts and talents that Soul came here to share through and as you, in your own unique way, as only you can. There will never be another individualized expression of Divinity just like you. That means that if you ignore the call of your awesome, it's lost. For eternity. Feel fulfilled on all levels - mental, emotional, physical and spiritual. When you recognize, acknowledge, and live your gifts – AKA Unleash Your Awesome – you start to live in possibility. When you Unleash Your Awesome, you become unstoppable. I'm Ready to Unleash My Awesome! "Nothing must be postponed. Take time by the forelock. Now or never! You must live in the present, launch yourself on every wave, find your eternity in each moment. Fools stand on their island of opportunities and look toward another land. There is no other land; there is no other life but this." Stop sacrificing the fullness of who you are on the altar of mediocrity. Life is calling you to more. You feel it in your bones. You’ve checked all the right boxes, done everything you’re “supposed” to do, and it still feel like something’s missing, like you’re not where you want to be. You’ve lost that deep connection with yourself and realize that your old path isn’t serving you anymore. move beyond your masks and live authentically. The life you were born to live is waiting for you. It's time to listen to the whispers of Soul and create a life you love.